Gym apps and smart wristbands are methods that can monitor exercise for athletes or those who want to lose weight. 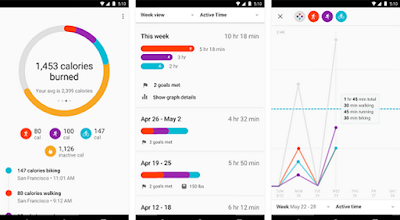 On the one hand, gym apps offer countless features, from functions to control steps to tools to create your own workout and share progress. On the other hand, wristbands or fitness trackers can deliver more comfort and safety when you use it with a smartphone nearby, and automatically recognize physical activity and heart rate. To help you identify the best option to take to the gym, we compare the functions, convenience and availability of these tools. As many apps as smart wristbands allow you to set goals, track physical exercise, and track user progress. The difference between the two options is in the details of activities, as mobile programs can be set up for certain sports besides the gym, such as tennis or yoga, while most fitness trackers only recognize the effort and calculate the energy expenditure. In the apps, it is still possible to have extra tools like monitoring glucose levels or caffeine intake. The heart rate and pace counter, features automatically available on wristbands, are enabled on newer smartphones with the help of specific sensors and technologies. The convenience of using and carrying an app or a smart wristband can be the crucial point in deciding which method is best for you. Fitness trackers or even smartwatches with features for monitoring exercises can be attached to the wrist allowing for more accurate data on account of skin contact. Already the application is more manual and, even with the sensors of the mobile, needs commands for the activity that will start. Thus, it is possible to see that the wristbands offer more comfort and a sense of security when going out on the street to run. This point should also be put on paper by those who do high intensity activities in which carrying a device can disrupt performance; Or with physical contact, where there is a risk of breaking the cell phone. Most fitness trackers are also waterproof, which expands exercise monitoring for sports like swimming or canoeing. Regarding the use of apps, it is worth mentioning that the software should consume the battery of the smartphone while monitoring the exercises, and take up space in the phone memory. However, people who listen to music at the gym should remember that they will have to carry their phone in their pocket or in a protective case if the wristband or smart watch does not have this functionality. That way, an extra gadget may not make sense, since the user will always have an app-compatible device nearby. The main advantage of applications is that most of them can be downloaded for free. In addition, there are program options for virtually all phones with Android, iOS and Windows Phone operating systems. The variety of apps lets you choose which download to suit your purpose. There are programs that create personalized workouts, monitor heart rate, glucose levels and even accompany your sleep, such as OptimizeMe. 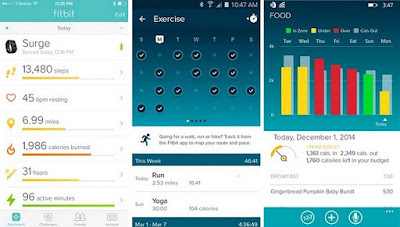 Google and Apple also offer software on their calorie-loss-aiding systems: Google Fit and Health app. In the case of smart wristbands there are more basic options, such as Sony's Smartband, with an average price of $ 50, and the Mi Band ($ 40) that don’t weigh in the pocket and have a simpler and more discreet design. However, if you want a more complete gadget the user can opt for a smartwatch with tools to accompany you in the gym. The Motorola Moto 360 Sport is available for $ 160. There's still TomTom Spark Cardio + Music ($ 180), Samsung Gear Fit 2 ($ 160) and Apple Watch ($ 305) that also offer sensors to monitor workouts. 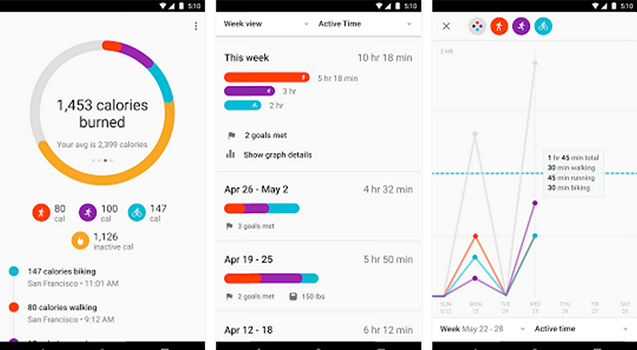 Both apps and smart wristbands are good options to take to the gym, set goals, and track progress. However, while one is more practical the other can be more personalized and free. Fitness trackers should help primarily high-performance athletes or sports with physical contact, as the gadget dispenses the cell phone in the pocket and is still waterproof. There are models of about $ 50, but it is also possible to opt for a smartwatch of more than $ 300. On the other hand, Android, iPhone (iOS) or Windows Phone applications offer the option of customizing and tracking the workout with the help of sensors from the smartphones themselves. Most are free but require manual labor before each activity and can consume the battery of the cell phone faster. If you are in doubt about which is best to accompany you in physical exercises it is worth considering the type of activity you usually do and what training data you want to monitor. Also, details like how much you want to pay for the service and even if you listen to music while exercising are important to setting the right option for you.